Add matching creatures to the chain or add a DRAGONFLY,(It's wild, you know!). You'll have to use your eyes and brain in order for the chain to grow. First one to use up all your tiles? You're master of the Domino! 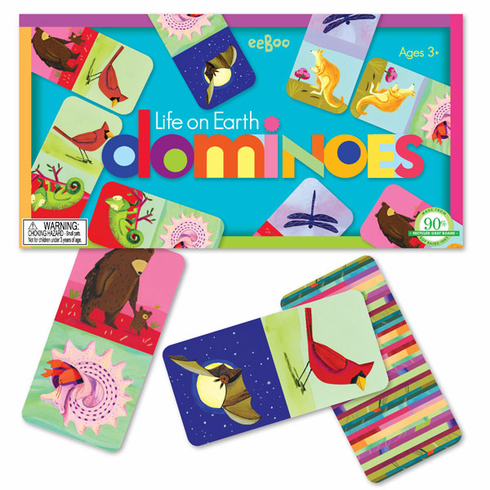 Celebrating the rich diversity of Life on Earth, this domino set is sure to provide an entertaining game with beautiful images.